Muscle strain is another name for a pulled muscle. 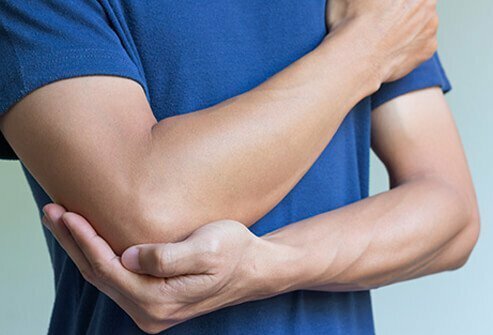 It occurs when a muscle is overstretched and tears. Symptoms of a pulled muscle may include pain, swelling, weakness, and difficulty or inability to use the muscle. 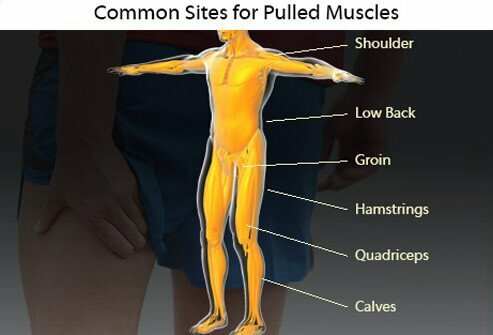 Muscles in the quadriceps, the calves, hamstrings, groin, low back, and shoulder are the most common sites for pulled muscles. Minor muscle strains resolve with RICE -- Rest, Ice, Compression, and Elevation. Nonsteroidal anti-inflammatory drugs (NSAIDs) may help manage pain and swelling as well. More serious muscle strains require evaluation and treatment by a doctor. The anterior cruciate ligament (ACL) helps hold the knee joint together and provides stability. A torn ACL is a sports injury that may occur when landing the wrong way, changing direction or stopping quickly, or from a direct blow to the knee. People who suffer a torn ACL may hear a pop and then feel their knee no longer functions. Pain, swelling, and loss of range of motion are symptoms of a torn ACL. It may be difficult to walk. A torn ACL needs to be reconstructed surgically, usually using a graft from another ligament in the patient’s own body. 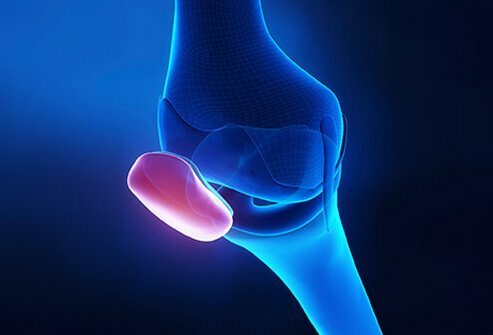 Significant rehabilitation is necessary to restore the strength and function of the knee joint after surgery. Depending on the age, health status, and desired activity level of the patient, some may not elect to have surgery. In that case, braces and physical therapy will not cure the condition, but may provide some relief. The medial collateral ligament (MCL) connects the upper leg bone (femur) to the larger bone of the lower leg (tibia). It is located on the inner side of the knee. The MCL is typically injured when the knee joint is pushed sideways when making a wrong move or by receiving a direct blow to the knee. A torn MCL results in pain, swelling, and instability of the joint. The condition is often treated with ice, bracing, and physical therapy. If other structures in the knee are injured or if the torn MCL is severe, surgery may be recommended. Shin splints are throbbing, aching, or stabbing pain on the insides of the lower leg. Shin splints are a repetitive use injury that may occur in runners or those who are beginning to exercise. Pain occurs when muscles and tendons around the tibia (the larger of the two lower leg bones) become inflamed. Stretching, resting, and applying ice can help relieve shin splints. Nonsteroidal anti-inflammatory drugs (NSAIDs) can reduce pain and swelling. Bandaging the area may help prevent swelling. Flat feet increase the risk of shin splints. Orthotics and proper athletic shoes may offer support and decrease the risk of shin splints. The plantar fascia is a ligament that connects the heel to the front of the foot, supporting the arch. Plantar fasciitis is inflammation of this ligament. It causes heel pain often felt the first thing in the morning after getting out of bed or after being active. Stress and strain on the feet increases the risk of plantar fasciitis. Obesity, tight calf muscles, repetitive use, high arches, and new athletic activities are all risk factors for this condition. Plantar fasciitis is treated with rest, ice, nonsteroidal anti-inflammatory drugs (NSAIDs), and special stretching exercises. Cushioning insoles may provide relief. Wearing splints at night may help decrease pain. More severe cases of plantar fasciitis may be treated with cortisone injections, physical therapy, and surgery. A sprained ankle occurs when the ligaments that support the joint become overstretched. 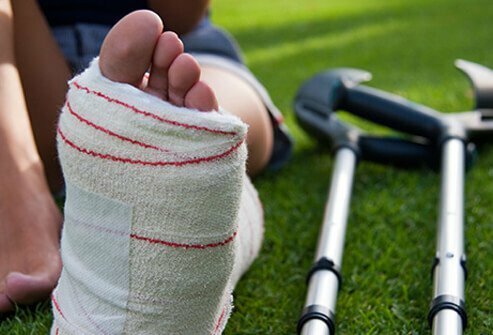 Ankle sprains may occur when playing sports or doing everyday activities. Stepping wrong on an uneven surface or stepping in a way that twists or rolls the foot may lead to an ankle sprain. Sprains and the pain they cause may range from mild to severe. RICE -- rest, ice, compression, and elevation -- are used to treat ankle sprains. Nonsteroidal anti-inflammatory drugs (NSAIDs) can alleviate pain and swelling. Severe sprains may require a brace or cast for several weeks to facilitate healing. The hip region contains two major bursae. 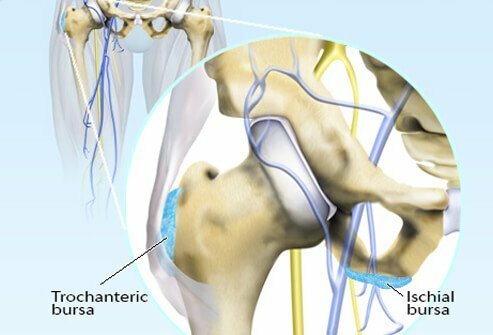 The one located on the outside of the hip is called the trochanteric bursa. The other is called the ischial bursa which covers the ischial tuberosity, more commonly known as the sits bones. Inflammation of either bursae may lead to stiffness and pain around the hip joint not to be confused with the true joint pain of arthritis. Overuse from running, cycling, and similar activities can lead to hip bursitis. The condition causes hip pain that tends to be worse at night. Getting up from a seated position may cause pain. Treatment of hip bursitis consists of avoiding activities that produce symptoms and taking nonsteroidal anti-inflammatory drugs (NSAIDs) to reduce pain and swelling. Physical therapy and steroid injections may be warranted. Using a cane or other assistive device may help take the load off the inflamed joint. A concussion is a traumatic brain injury (TBI) that occurs when the brain undergoes rapid acceleration inside the skull. A direct hit to the head or body may cause a concussion. People who engage in contact sports like football are at increased risk for concussions. The symptoms often include headache, loss of consciousness, memory loss, sleepiness, nausea, vomiting, and more. A thorough neurological exam is necessary after a concussion to determine the extent of the injury. Healing from a concussion requires rest, both physical and mental, to allow the brain to recover. 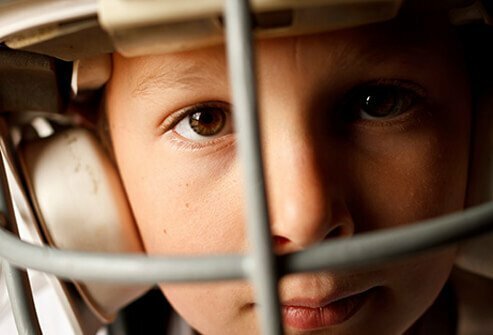 People who suffer concussions must receive a doctor’s clearance before resuming sports, especially young people whose brains are more vulnerable. Achilles tendonitis is inflammation that causes pain on the lower back of the leg just above the heel. The area may become painful, swollen, and stiff. The pain worsens after physical activity. The tendon may become thickened and, in some cases, bone spurs may develop in the area. 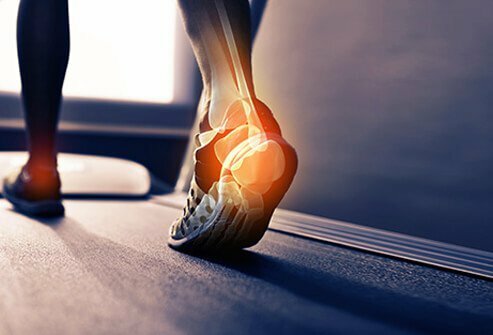 Achilles tendonitis may be treated with rest, ice, stretching, and nonsteroidal anti-inflammatory drugs. Strengthening exercises prescribed by a physical therapist may help. Special footwear and orthotics can help take the strain off the affected heel. Runner’s knee – also known as patellofemoral pain syndrome – is a painful condition that occurs when tendons, joint lining (synovia), and/or other soft tissues of the knee become irritated. Overuse can cause runner’s knee. So can a misaligned kneecap. In addition to pain, runner’s knee may lead to popping and cracking. Switching to activities that do not stress knee joints may minimize problems. RICE – rest, ice, compression, and elevation – may help. Nonsteroidal anti-inflammatory drugs (NSAIDs), physical therapy, and orthotics may provide relief. Rarely, surgery may be an option for severe cases that have not responded to other treatments. Physical activity is an important part of maintaining overall health. However, certain precautions should be taken to minimize the risk of sports injuries. Using the correct equipment and maintaining equipment can help prevent sports injuries. Wearing the recommended protective gear can help shield the body against injury. Resting between workouts gives the body time to rest and repair. Starting activity slowly and gradually increasing strength, flexibility, and endurance gives muscles, bones, and other tissues the opportunity to adapt to more difficult workouts, minimizing the risk of injury. Finally, listening to the body and backing off at the first signs of pain, discomfort, stress, or overheating will help reduce the risk of sports injuries. American Academy of Orthopaedic Surgeons: "Achilles Tendonitis." American Academy of Orthopaedic Surgeons: "Anterior Cruciate Ligament (ACL) Injuries." American Academy of Orthopaedic Surgeons: "Collateral Ligament Injuries." American Academy of Orthopaedic Surgeons: "Hip Bursitis." American Academy of Orthopaedic Surgeons: "Low Back Pain." American Academy of Orthopaedic Surgeons: "Patellofemoral Pain Syndrome." American Academy of Orthopaedic Surgeons: "Plantar Fasciitis and Bone Spurs." American Academy of Orthopaedic Surgeons: "Shin Splints." American Academy of Orthopaedic Surgeons: "Sports Concussion." American Academy of Orthopaedic Surgeons: "Sports Injury & Prevention." American Academy of Orthopaedic Surgeons: "Sprains, Strains, and Other Soft-Tissue Injuries." American Academy of Orthopaedic Surgeons: "Stress Fracture." American Academy of Orthopaedic Surgeons: "Tennis Elbow." American Journal of Sports Medicine: "Muscle Strain Injuries." National Institute of Arthritis and Musculoskeletal and Skin Diseases: "Handout on Health: Sports Injuries."